Capturing the astounding natural beauty of the Canadian Rockies this trip will leave you breathless. 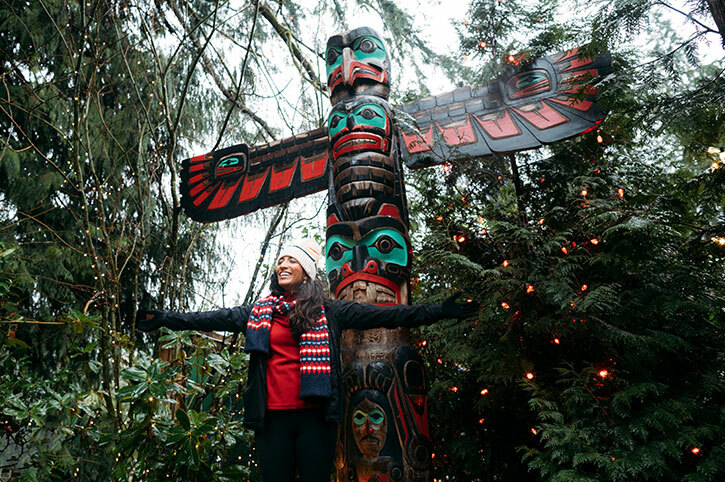 Marvel at the wonderful scenery offered by the National Parks and get acquainted with mountain towns before you head from sky to sea into beautiful British Columbia. Welcome to Calgary, gateway to the Canadian Rockies. Get settled in at your hotel before meeting your Travel Director this afternoon. Take a short orientation tour of Calgary before travelling to Banff. On the way, stop for picturesque views of stunning Lake Louise. 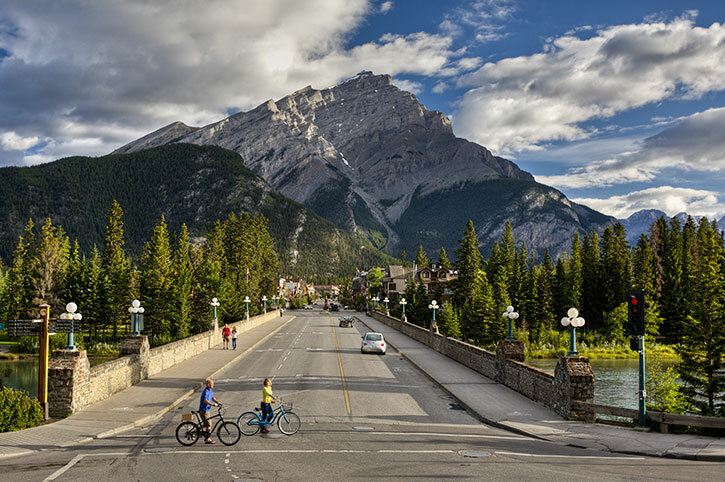 In Banff, wind your way along Tunnel Mountain Drive where you’ll view Cascade Mountain, Mt. Rundle, Bow Falls and other natural attractions. Today is set aside as a free day for you to explore the area at your leisure. Consider taking an optional, exhilarating helicopter flightseeing tour, a ride up to the top of Sulphur Mountain at 7,500 feet (2,301 metres) on the Banff gondola or a more in depth exploration of Banff National Park and the surrounding wilderness including world-famous Lake Louise and stunning Moraine Lake. Drive along the Icefields Parkway, offering spectacular mountain views. 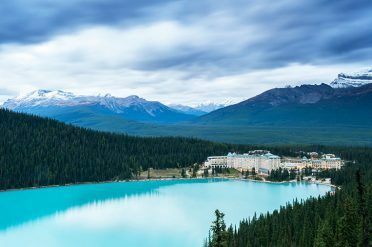 Stop at Peyto Lake (weather dependent) and marvel at its beautiful azure-blue waters. See the Columbia Icefield, the largest in the Rockies. Ride across the Athabasca Glacier aboard a giant Ice Explorer for a closer look at this massive glacier. Later, arrive in Jasper for an orientation tour. 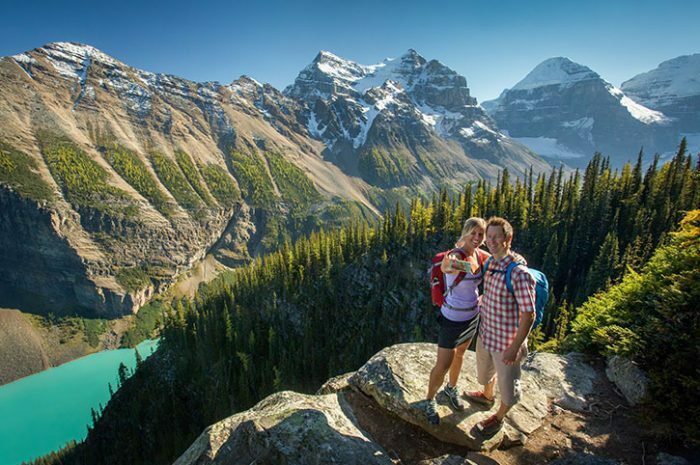 Enjoy a full day at leisure in the largest National Park of the Canadian Rockies. The beauty of the area will leave you breathless. Optional activities abound-from a gentle float trip on the scenic Athabasca River, to a wilderness hike to view the glacier on Mount Edith Cavell, or a scenic cruise on Maligne Lake. Join the fun and experience an easy rafting / scenic float trip down the Athabasca River, a designated Canadian Heritage River. 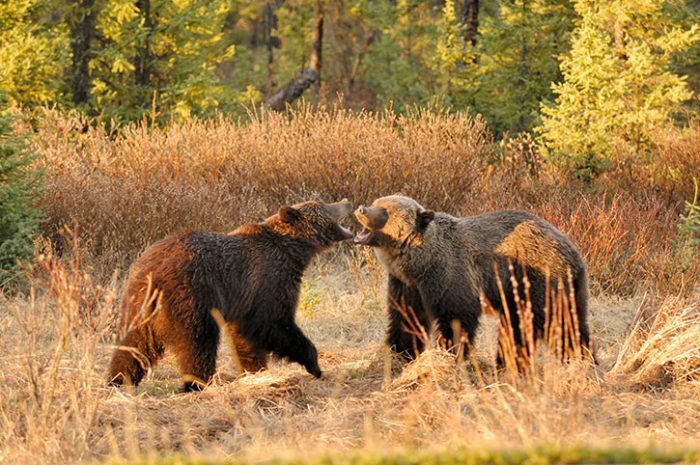 A National Park licensed guide will provide commentary on the human and natural history of Jasper while navigating you along the same route used by the “fur traders” over 2 centuries ago. Lifejackets and the specially designed, 25 foot (7 meters) long, oar-powered rafts; offer a safe and comfortable ride through several small, easy sets of rapids and calm stretches that any first-time rafter will enjoy. Don’t worry the guides do all the rowing; you sit back and enjoy while exploring all the spectacular scenery drifting down a route that was used by fur traders many years ago. There is always a chance of seeing various wildlife including elk, deer, moose, coyotes, wolves, eagles, ospreys, mountain sheep and bears. Tours will operate rain or shine, and a poncho will be provided when required. Approx. duration: 50-90 minutes. Nestled in a ring of towering mountains, Maligne Lake is the largest glacially fed lake in the Canadian Rockies. 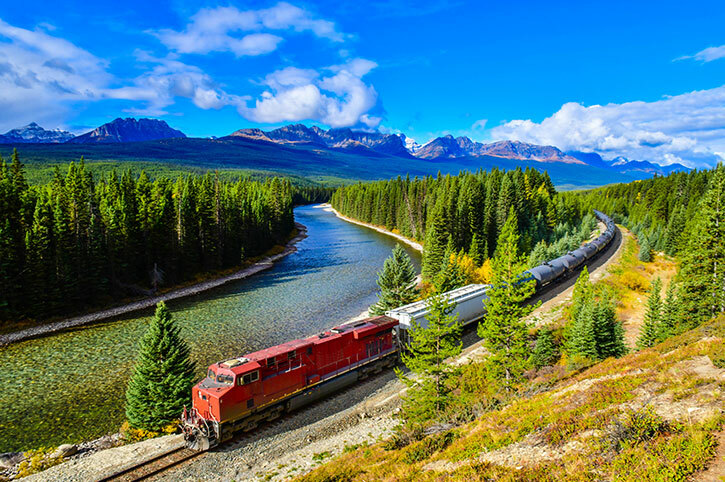 Here you’ll discover world-famous Spirit Island, the crown jewel of Jasper National Park. The Maligne Lake Cruise is an experience like no other with an experienced crew who will guide you through the rich history, ecology and geology of Maligne Lake. This interpretive tour has been declared the “Best Boat Cruise in Canada” by 8 million Reader’s Digest subscribers. You’ll be inspired by the beauty of Maligne Lake’s vibrant blue waters and by the stunning lofty peaks as you cruise to Spirit Island, a world-famous destination and one of the most photographed locations in the Rockies, accessible only by boat. Subject to weather conditions. Approx. duration: 1.5 hours. See more of Jasper National Park and enjoy views of Mount Robson, the highest peak in the Rockies. Continue through lush alpine meadows and sweeping forests before reaching Kamloops. Pass through the charming town of Hope before boarding a ferry bound for Victoria. Enjoy picturesque views of the many islands dotting the Strait of Georgia before docking at Swartz Bay. A short drive takes you into the charming city of Victoria, the capital city of British Columbia. 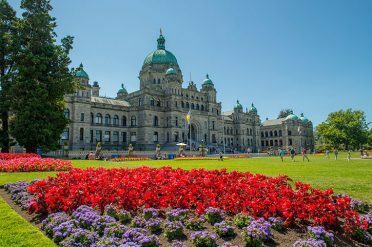 An introductory sightseeing tour takes you along the waterfront district, past the Parliament Buildings and Government Street, and through Beacon Hill Park. This morning, enjoy an Iconic Breakfast at world-famous Butchart Gardens in the Blue Poppy Restaurant with its conservatory atmosphere where light pours in through skylights and large windows face the gardens. The rest of the day is free to enjoy the many delights Victoria has to offer. Travel to Vancouver and see Gastown, the city’s oldest neighbourhood, designated a National Historical Site. See Chinatown and stop at Stanley Park and see its famous collection of totem poles. Bid farewell to Canada and your newfound friends. Experience the Rockies for longer with our 17 day Wonders of the Rockies with Cruise Guided Tour from £2403. All prices are per person, based on 2 sharing a twin room, and include meals where shown. Call Freedom Destinations for departure dates and availability. Seasonal variations may apply – call or enquire now for more details. Itineraries may vary for tours departing from 1st April 2019 onwards.